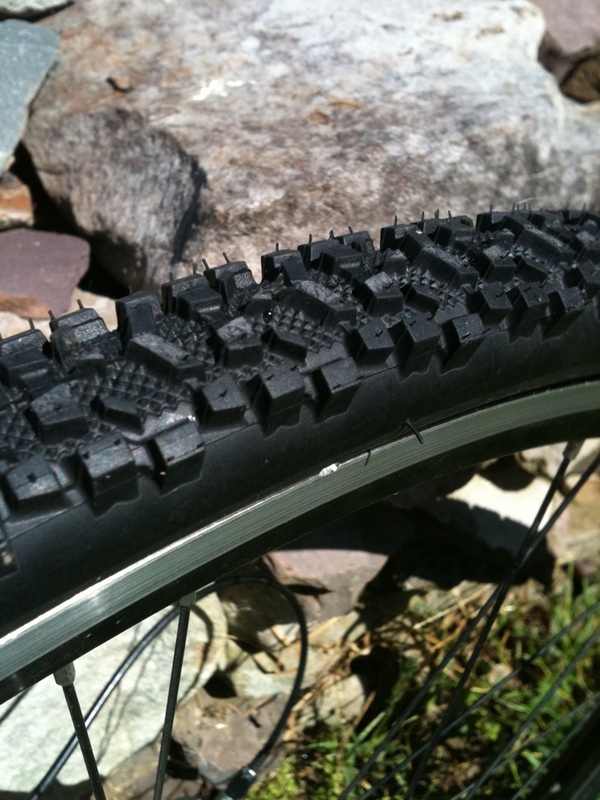 The most aggressive 35 mm wide tires I have tried. My local courses tend to feature a lot of long, wet grass. My 30 mm wide tires weren’t cutting it. I would say it looks pretty good for $400. was able to meet my goal of building the bike for under $400. After a week into my project, I thought $500 was a more realistic goal. However, I got more for my “leap of faith” donor frame than anticipated, and the shipping was less also. 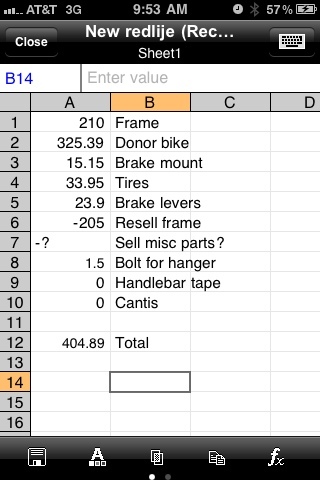 Please note, my spreadsheet shows >$400, but this does not include the eBay sale of the road brakes that I anticipate will bring me under the 4 bills threshold. The only real snag was mounting the fork mounted hanger in the front. My aluminum fork had a simply drilled through hole which the mounting hardware did not fit. A quick trip to Lowes, and I had a heavy bolt that just fit (hello, hammer) and was just about the right length. I had to use a bolt between the hanger and fork to clear my headset. A little clunky, but it works. A full photo gallery will be posted soon, as well as additional thoughts once I have time to run it around my personal 3 acre test track. 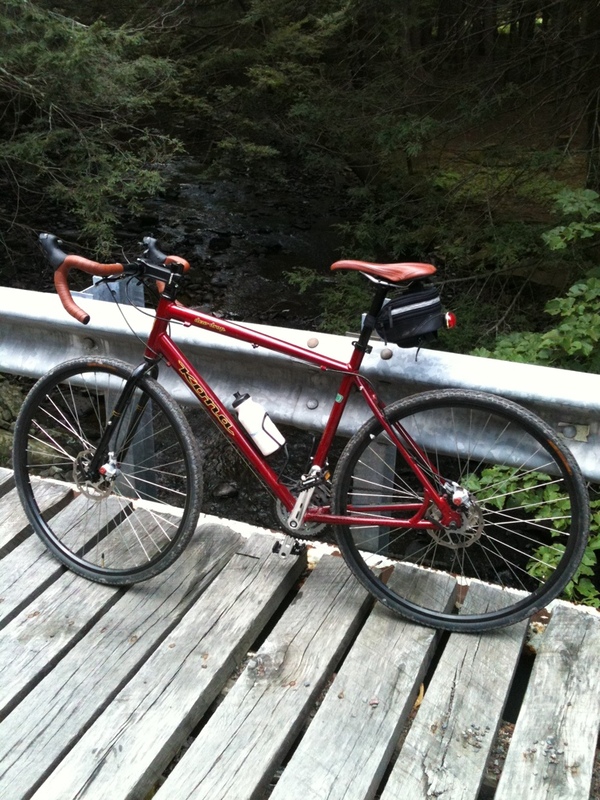 Still have to tune up the brakes and derailleurs…. I crunched some numbers and confirmed it to be cheaper to buy a complete bike to source my cheap cross bike rather than buying individual pieces. Since I was looking to do this build on the cheap, I was willing to settle for lower end parts. In fact, I would probably feel bad racing Ultegra part in the mud and gunk of a cross course, and would prefer the lack of worry that comes with Sora. I found a bike on eBay. The complete description: “Good condition”. Nothing else, nada, c’est complete, full stop. This will work to my advantage, as will the 0 rating of the seller. Most people buying the bike care about the size (or even model) of the frame. Most people would also hesitate to purchase from an unrated seller. I don’t care about frame size since I will only be reselling, and I have faith in eBay and my credit card company to protect me in case the listing is a fraud. So the poor listing ability of the inexperienced seller worked to my advantage by decreases the market and allowing me to pick it up for a lowball price. 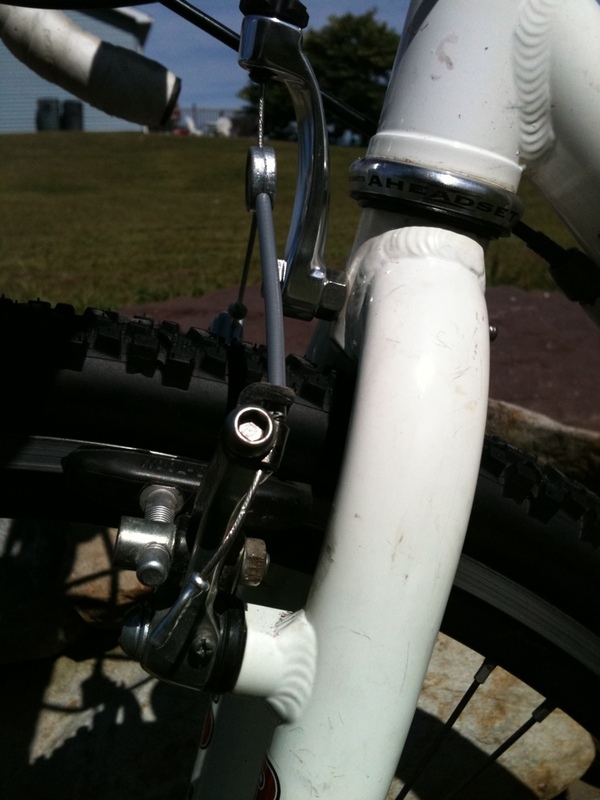 From the picture, it looks like the bike is a triple, with Sora shifters. Perfect! If I don’t decide to convert to 1x crank, the triple will be great in Ultracross type rides and events. The pedals may even be SPD. If so, ka-Ching! 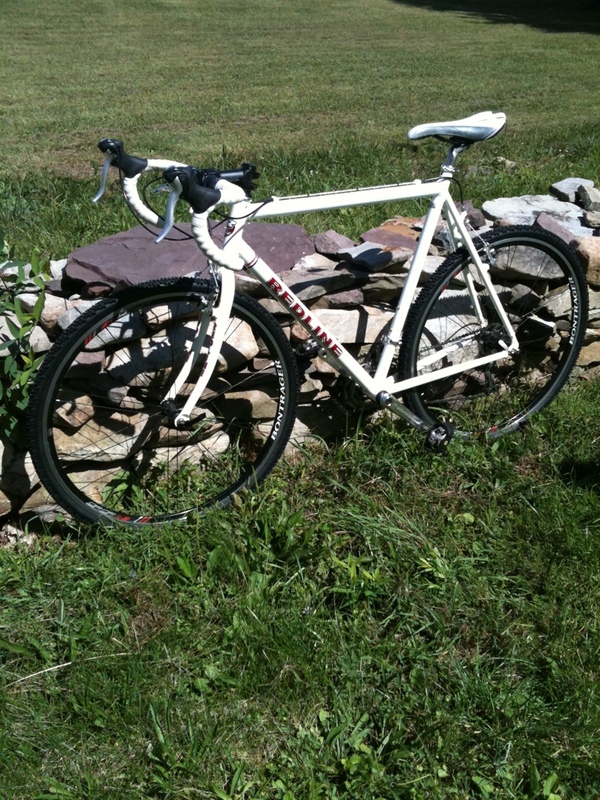 I may swap these wheels onto my wife’s road bike and take her flat grayish color Alex rims as I may go with a silver theme for this bike to go with the white frame. 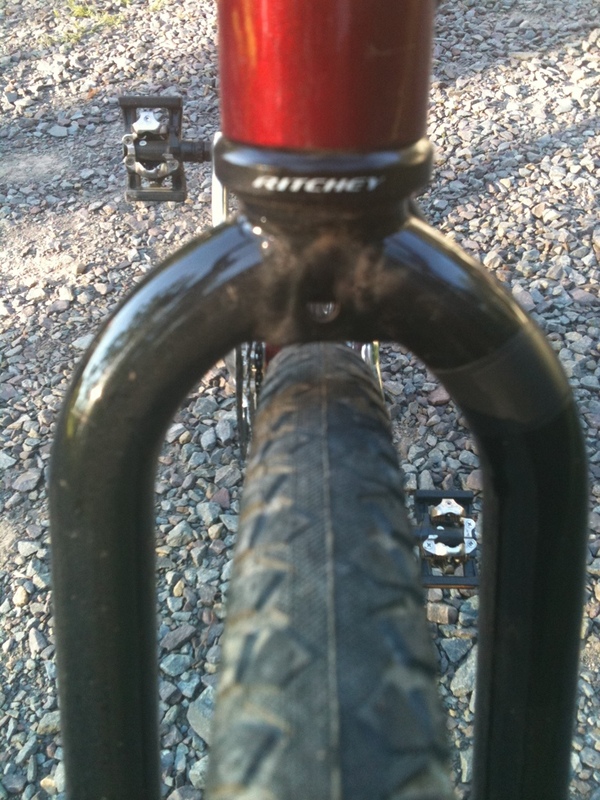 I hope the seat post is the correct size for my frame, but I know the high rise stem will have to go! The frame nor fork have disc tabs. The “standard” would be to go with cantis and a headset mounted hanger. 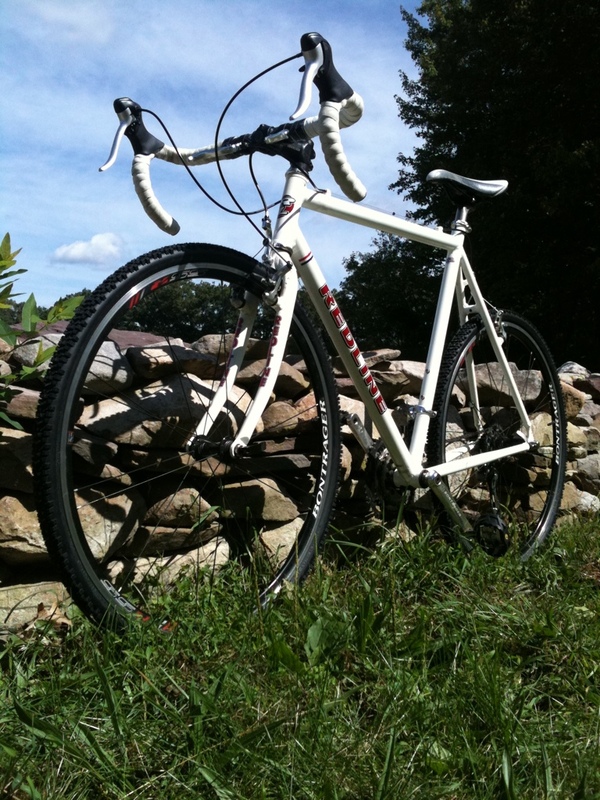 However, I had that setup on my Bianchi tourer turned ‘cross bike and I wasn’t impressed. In fact, the fork shudder was a complete turn-off. I went with a Tektro 926 mini-v and was pleased. So I looked at the price of a mini-v and adjustable noodle. Came in around $20. Not bad, but I have a cantilever set in my parts bin. 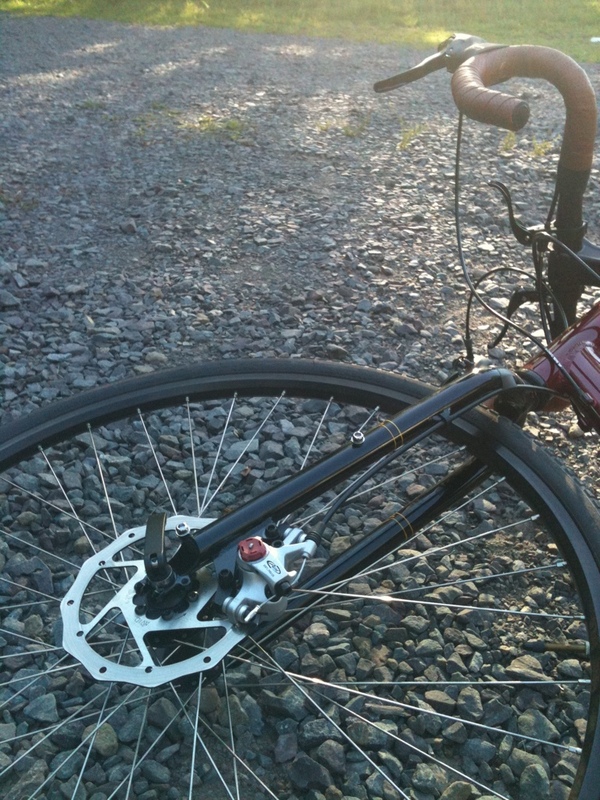 Why not try a fork mounted hanger? In a Velonews post a few years ago, Leonard Zinn admitted to running a fork mounted hanger on his cross bikes with success. I think it was the challenge of using the fork mounted hanger that really pushed me in that direction. 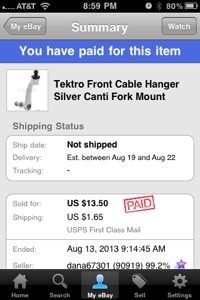 Update: I emailed LBS to see if they had a fork mounted hangar in stock. After publishing this post, I received a reply that they didn’t have any in stock. Understandable. I was surprised however that they said none of their distributers had this part listed. I am not sure if fork mounted hangers are that rare, if the LBS just over looked the part in their book, or if the part doesn’t work so no one wanted one. I hope it’s not the latter. I gave into my obsession. Again. I was happy with my bike quiver, and had no intention of re-expanding it. A few circumstances conspired to cause me to make another purchase. 1. I got some birthday cash. I asked for cash as I was looking at buying an old truck for sale that I pass everyday, or another .22 rifle to screw around with. I talked myself out of the truck, as it is hard to justify owning one, and I really don’t shoot much anymore. The moral is, I had “me” money in my pocket. 2. My around the house project list has shrunken dramatically the last few weeks. 3. 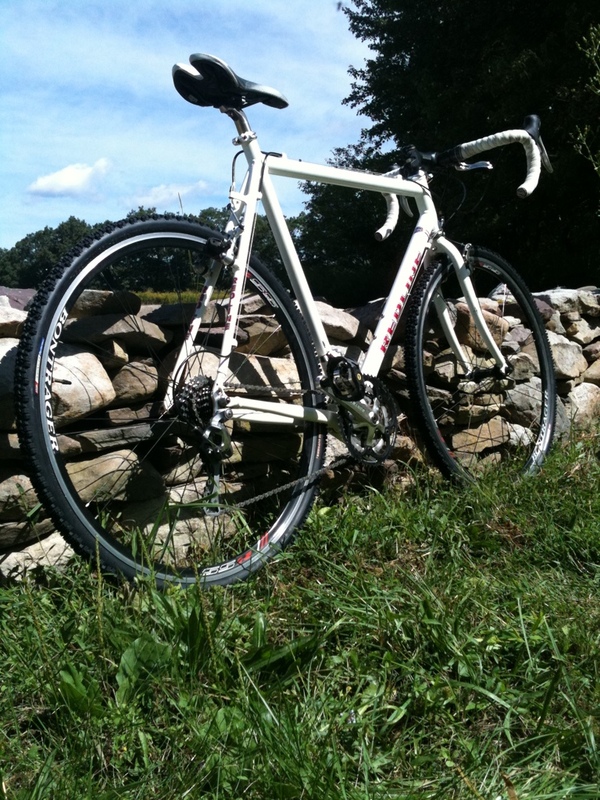 I decided the focus of the second half of the year for me will be the Central Pennsylvania Cyclocross Series. 4. There was a Redline frame on eBay that I have been watching. And the price kept dropping, and dropping, and dropping. I really have room for it. I am making the purchase for the pure joy of searching for cheap parts and building the bike. You can say I am looking forward to the journey, not necessarily the destination. 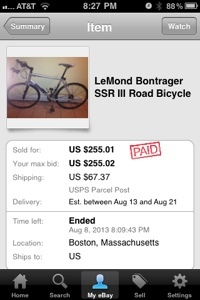 I shelled out $210 for the frame and shipping. My goal is to keep the build under $400. 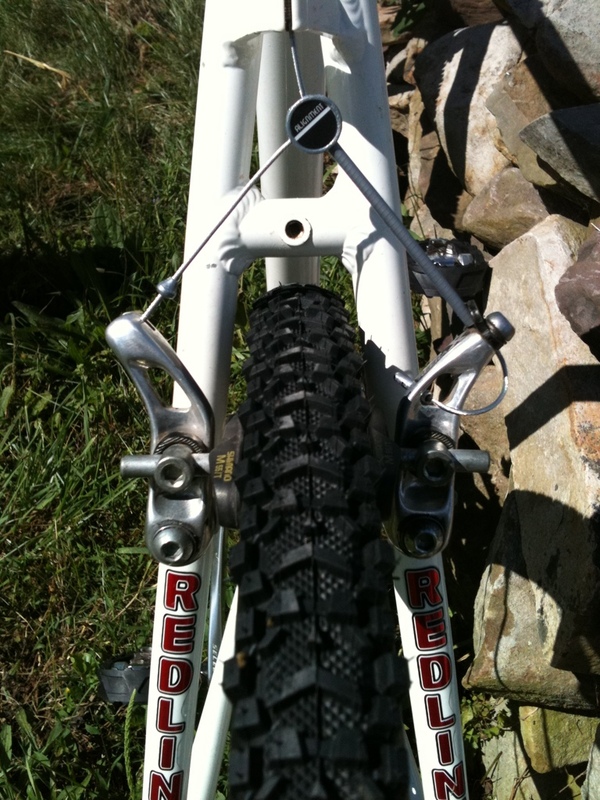 I know this is quite ambitious, but I do have some cantis in the parts bin and cross tires hanging on my wall to use. 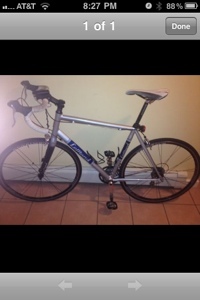 To keep the build cheap, I am hoping to find an inexpensive used complete road bike to scavenge a drive train and maybe sell the donor frame to recoup some cash. If that plan fails, I haven’t ruled out a 1x drivetrain or even a single speed as a last resort. Now for the actual frame. 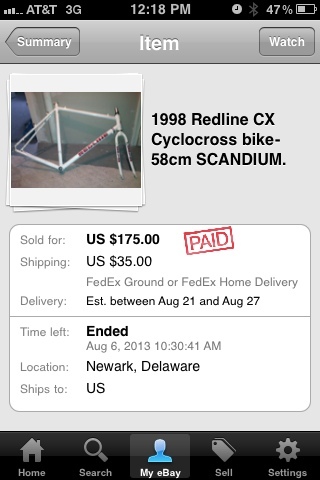 Its listed as a 1998 Redline Scandium frame. I have liked the Redline brand for some reason, maybe it’s their small, yet legit company, or perhaps their lack of presence in the pure road market. As for the scandium material, I did some quick research and I think it’s not truly 100% scandium, but rather an aluminum alloy with scandium. I haven’t solidified the benefit of scandium, but I think it’s properties work symbiotically with aluminum to strengthen the metal and allow smaller tubes. The smaller tubes help with ride quality by providing a measure of compliance. Is “wood grinding” a new sub-genre?